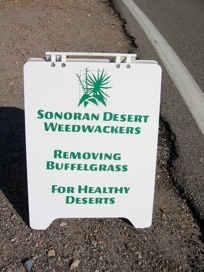 The Sonoran Desert Weedwackers have been removing invasive grasses from Tucson Mountain Park since 2000. They work every third Saturday of the month year-round for about three hours. A smaller group also works on the second and fourth Wednesdays of the month for about four hours. Pima County staff provides the equipment and transportation to the site. The activity on Saturdays is moderate exertion whereas the Wednesday projects require a bit more stamina. The Weedwackers work year-round starting earlier (6:00am) during the summer and later (8:00am) in the winter. 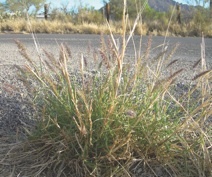 For more information,go to http://www.aznps.com/invasives.php or www.buffelgrass.org .